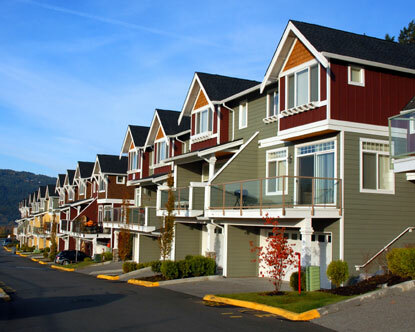 Most condos/townhomes need two insurance policies. A master policy for the association and a personal condo policy for the unit owner. Generally provided by your association, this policy covers the physical structure of the building, including basement, roof, walls, elevators, lobbies, etc. Coverage usually includes both physical damage and liability. Get a copy of the policy and review the Association's By-Laws to determine what is covered. This will cover additional structural damage to your unit, including cabinets, appliances, personal belongings, and more. This also covers living expenses if you fall victim to a fire, theft, or other covered disaster. Many insurance carriers offer enhancements that include personal property protection in your condo insurance policy. Be sure to include replacement cost coverage so you receive full replacement cost of your belongings, not just what they are worth today. Be sure to include coverage for the Association's master policy deductible. Most insurers will provide coverage for the Association's mater policy deductible under loss assessment coverage. The master policy deductible can be found on the master policy or by contacting an Association board member. Once you have determined the deductible you will need to increase your loss assessment coverage from the standard $1,000 to match the mater policy deductible. Flood or Earthquake: Read the fine print on your policy. They often won’t cover damage due to these disasters. Additional coverage may be required if you live in a area prone to these disasters.